Carrigaline United Football for All is an inclusive FAI soccer programme for girls and boys from 6-18 years. Its mission is to plan, co-ordinate, develop and deliver opportunities to participate in team sports to children and teens that may not ordinarily have the chance to do so. - Increase activity levels, make exercise fun and establish the routine of taking regular exercise. - Promote better co-ordination, balance, flexibility and body awareness. - Facilitate teamwork, learn new skills and follow rules in a relaxed, safe and fun environment. - Advocate social interaction, social skills, team spirit and developing friendships. - Foster a sense of confidence, achievement and wellbeing among players. - Create greater awareness and promote a culture of inclusion. 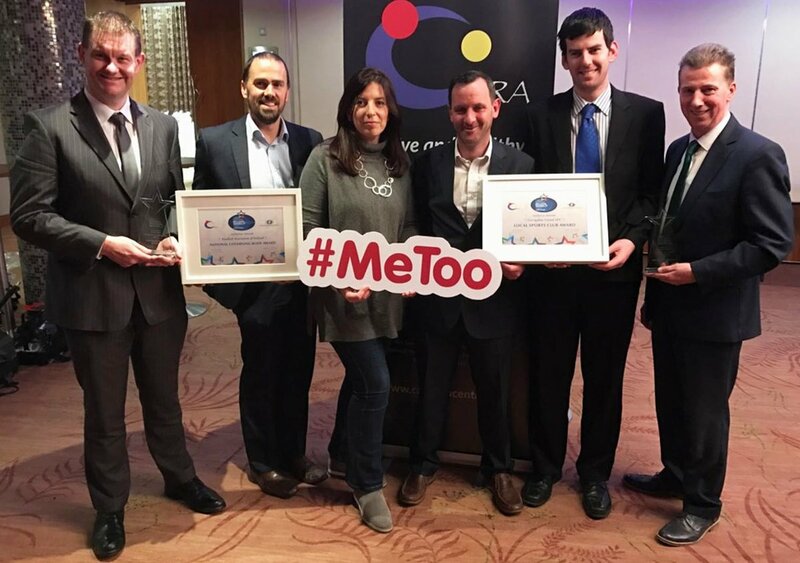 The dedication and commitment of the players, parents and coaches at Carrigaline United Football for All has been well recognised through recent award wins including the Cork School Boys League Inclusion Award 2016 and The National Inclusion Awards Best Sports Club 2016. The Football For All Junior Teams cater for 6-13yr old girls and boys with varying abilities. Training takes place every Saturday morning on the Astroturf pitches at Ballea Park. The pitches are completely accessible with ramps and hand rails. Training groups are determined by ability and needs, with a minimum of two coaches per group. New members sign up throughout the year. The Football For All Youth Team is specifically designed for 13–18yr old boys and girls. Training weekday evenings in Ballea Park. The Youth Team is an opportunity for players from our 6-13yr old group to graduate into this team, but new members are also welcome to join.